Girls' Generation's Taeyeon said her goodbyes to France. On October 27, Taeyeon posted the below photos on Instagram with the message, "Bye, 'Girls For Rest'. Bye, France. Bye, French Ginger," referring to the French version of her pet dog Ginger. 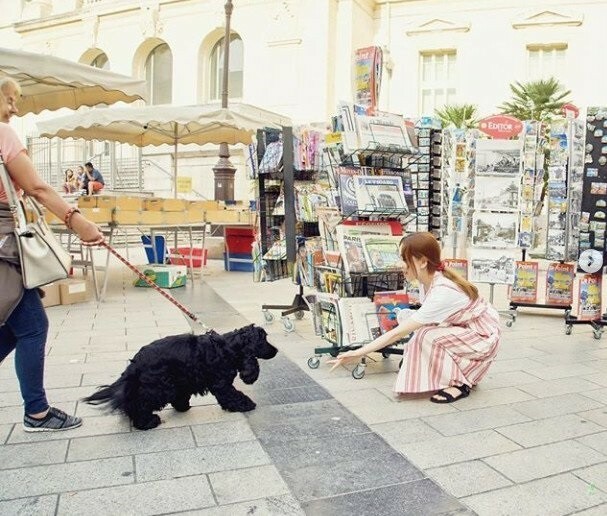 Girls' Generation unit Oh!GG recently took a trip to Southern France to film their web variety show 'Girls For Rest', and it looks like Taeyeon was looking back on her memories there. 'Girls For Rest' recently aired their final episode on October 26 KST. Did you catch the series?